Yesterday’s parcel from an admittedly dodgy eBay vendor was an object lesson in everything that can go wrong with 8-tracks. A nice Moody Blues tape was missing its felt pads, while a copy of Steely Dan’s Aja had been recorded over with an episode of American Top 40. I repaired the former but there was no fixing the latter. 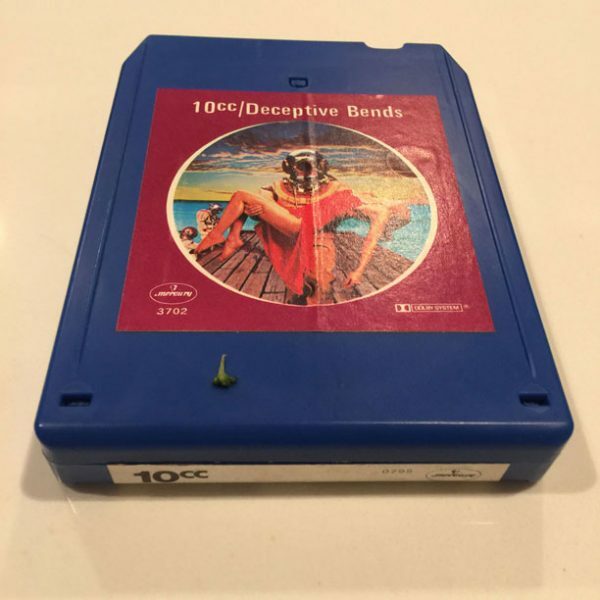 Also in the package was a copy of the 10cc album Deceptive Bends, which was jammed (tape wouldn’t feed). What I thought was a tape stretch was actually a crease; somehow the tape had folded in half coming off the reel and snagged. Fortunately the cart was easy to open and the tape pack was basically in good shape, save for about a foot of crinkled tape. I smoothed the tape with a warm iron, redid the splice, carefully spooled the excess tape back onto the reel, and closed the cart. Phew! My time was well-spent; I really enjoyed revisiting this pop-prog artifact from April 1977, a favorite from my senior year of high school. This was the fifth album by the sly, artsy British combo and the first after the departure of members Godley and Creme. (G&C’s competition for Deceptive Bends was the ill-received concept album Consequences, really no competition at all.) The slimmed-down 10cc lineup retained Eric Stewart, who went on to collaborate with Paul McCartney during the 1980s, and Graham Gouldman, who wrote a bunch of ’60s hits for the Yardbirds, the Hollies, and Herman’s Hermits. 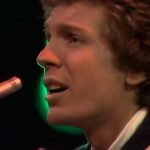 There’s certainly a McCartney feel to the music here, from the anthemic US hit “The Things We Do For Love” (which sucked me into the album) to the delicate “People in Love” and “Marriage Bureau Rendezvous.” Elsewhere, bouncy rockers provide unusual points of view: in “Good Morning Judge,” a career criminal finds he’s happier in jail, and “You’ve Got A Cold” is a graphic description of wintertime sniffles. The somewhat proggy suite “Feel The Benefit” is balanced by the brief, jaunty “I Bought A Flat Guitar Tutor,” whose lyrics reveal the chords needed to play it (e.g., “A-flat” in the title). Technical note: Though use of Dolby noise reduction was common (even ubiquitous) on cassette releases at this time, it was seldom used on 8-tracks. 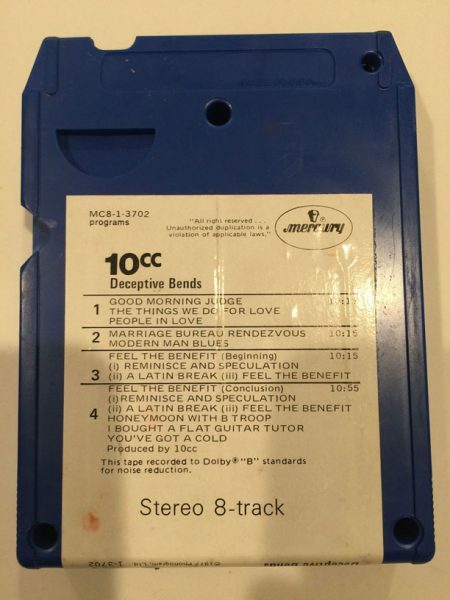 This 10cc tape is one of the few mastered using Dolby B, a practice that strikes me as odd since so few decks have Dolby. Here, it brightens the usually muddy 8-track sound to create a sound comparable to LP. Join us for more 8-Trackin’ next Thursday! 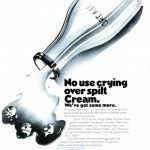 Fantastic write-up! 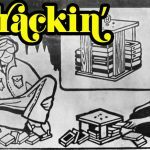 It might be time to start digging up 8-tracks! Glad you enjoyed. More cartridge-based music on the way! I have a slightly noisy player that will get you started at least… and since you haunt Miss Recs you will get their intermittent supplies before me! Hot To Trot-great b-side! I too would love to see a collection of these rarities. My fave 10cc release?…Sheet Music.